Today I taught a small class (2 attendees) how to make a simple pillowcase. This is the 1st class I've officially done any teaching! The 2 ladies, Sharon & Vicky were a joy to work with. Both were a little rusty on their sewing skills & wanted to bone up for the class I'm teaching next week...the French Braid table runner! The LQS booked me for 6 more classes next month too! I'm so excited to be even thought to be good enough to teach a whole class! Congratulations! I know you will be a great teacher. I volunteered to teach a simple block quilt class at our community center. I was in shock when I arrived and there were about 60 women there for the class! I didn't have time to be nervous! LOL. That was the most blurry two hours of my life. But they all came back for the next class and it's been six years and I'm still doing the community quilt class once a month. What great pillow cases! The big questions is.....Did you enjoy it! Sounds like you did. Congratulations! The pilowcases turned out great. Great for you! I hope you continue to enjoy it. Congratulations and love the fabric. Congrats! Sounds like you had a good time and the ladies look happy with their pillowcases. Congratulations on teaching your first Class. I think you will find teaching classes very rewarding. I taught a Small Projects class for a year, and I loved it. Made lots of new friends and had a lot of fun. Hated to see it end. Congratulations to you! I think your first class was a success. Be proud of yourself and keep up the good work! Congrats teacher! I love making pillow cases, I just made some for a neighbor's girls. Love the fabric these ladies used! good for you! sounds like fun and the ladies look happy! Great pillowcases. Way to go! 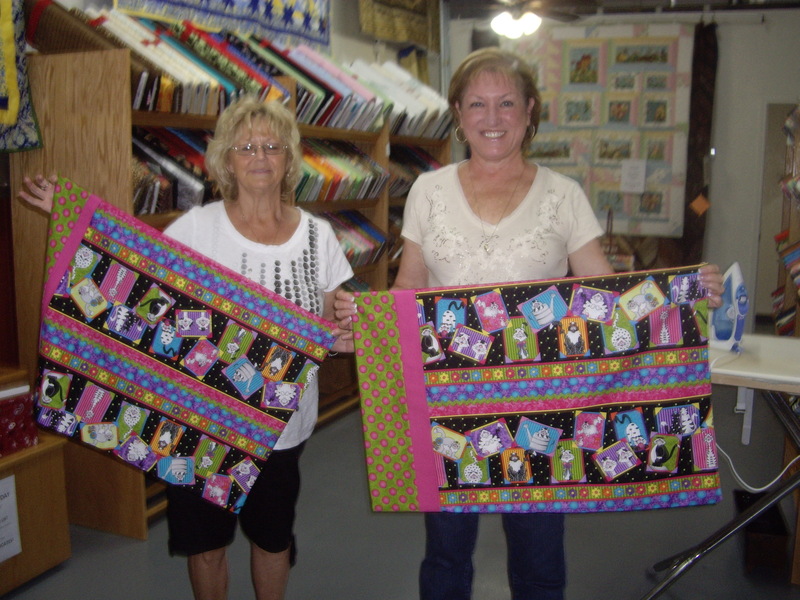 Glad you are able to spend time sharing your love for quilting with others. May you always have Love to Share , Health to Spare, and Friends that Care!